Hi Everyone! My husband and I are making a cross country move this week after house sitting (and living out of boxes) for the last two months. This is why I haven’t been able to create new videos, and you may have seen some repetitive daily wraps… my recording space is non-existent and most of my scarves are packed away! That being said, I have been thinking a lot about your requests, ideas, and suggestions… and have great hopes for where Wrapunzel can go once we settle into our new place! – Clothing matching and style suggestions. 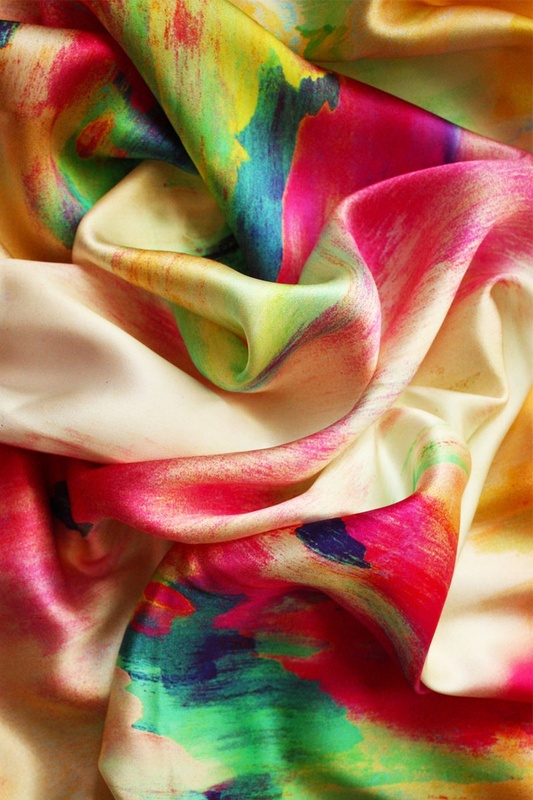 I am planning on doing posts showing how I match outfits to scarves… I am very excited to do this! Even though I am by no means a fashionista, I have realized that perhaps the fact that I am a working woman who needs to find (very) affordable clothing AND wrap amazing scarves around my head makes it even more important that I share what I know. – More giveaways! I am stunned by how successful our two giveaways have been, and how they have brought this community closer together. I am hoping to do many more! – Personalized attention. I am hoping to do one on one consultations, troubleshooting, and personalized scarf selecting for ladies that are interested. I am also looking forward to doing many more scarf wrapping workshops, which is a great chance to get hands on experience! – A chance for you to buy head coverings. I seem to have a magnetism/gift for finding beautiful and affordable scarves and matching them with accessories. And I shouldn’t be the only person benefitting from this. A huge chunk of women seem to stumble on this site, think that I am selling these creations and are disappointed to find out that I am not. I will figure out a way to make this happen for you… looking forward to this! – Video tutorials. You ladies love watching them, and I love making them. You can look forward to watching my do many more tichel ties… and as requested, I will show you more side and back views! – More lady wrap stars from around the world! So… this is what I have been thinking about and looking forward to! I would like to open up the comments section of this post to hear what you think about these ideas, and if you have other suggestions. By the end of August I should able to get most of these ideas off the ground. Looking forward to hearing from you and thanks in advance! You are so awesome!!! I wish you a successful move and lots of Hatzlacha! I’ve really enjoyed reading and watching on your blog how wonderfully you wrap, but also the meaning you infuse into it! Wishing you only the best on your move! So excited to see all of these wonderful ideas come into fruition. Your plans sound absolutely awesome – and I really look forward to a Wrapunzel shop and more tutorials (especially on how to match clothing and scarves and the personalised attention). I wish you all the best for your move and hope that all goes well! Wow. There are some fantastic ideas. This is gonna become more than a blog you know! How do you find the time? Thank you thank you. I especially look forward to the scarf and outfit matching. I often find myself feeling like I don’t know what style wrap goes with what outfit, or what really matches aside from plain colors. I hope your move goes well. Where are you moving too? Cross-country makes me wonder if my L.A. is in the cards for you? Yes! Yes! Yes! How wonderful and looking forward to all the new things you will be posting. Baltimore! How awesome-you get to play with tichels with Rivka Malka. Shabbat Shalom! No matter how short or far the move, you always lose something. Cross your fingers it isn’t the real Italian silk scarf you paid the big bucks for. Hope you end up in a wonderful neighborhood and with a really fun job. I wish you the best on your move! I am really looking forward to all these *new* things concerning Wrapunzel! Although I have studied on and off about head-coverings for around 3 years, I am just now starting to wear them. Although I am unmarried, head-covering holds a specialness for me (and also I do love tichels!) Your site has been great for tutorials, as has Rivka Malka’s site. Todah rabah for all the information on tichels & tichel tying! Kol haKavod! Oh, and I wanted to say that your idea of selling affordable tichels and matching accessories is great! You really do have a knack for putting together wonderfully unique and beautiful tichels and accessories! Have a safe and wonderful move! Glad you will be doing some clothes ideas! I have to attend a wedding in the UK next summer and compete with all those hats. Elegant, Sophisticated, Modest and Youthful are my keywords. Amazing scarves are going to be a major player in the outfit! are you moving to the east coast? Thanks for the great postings! All those ideas sound wonderful and I cant wait to see all of them become real ! All the best for the move you’ll meet wonderful people on Baltimore starting with Rivka Malka and Rivki Silver ! But tell how much stuff do you have to be living out of boxes for 2 months ?! How exciting for you!! Good luck on the move! When I first started watching Rivka Malka’s videos, I used to joke that I wish I lived in Baltimore so I could have friends like her! Haha You are both very inspirational for me, I wish you the BEST!! I love that you shared your Goals! I love the idea of Matching outfits, tichels, etc. I am just starting to try and incorporate more Modesty into my work attire. It seems I have developed separate lives and I really want to smooth it all into one (after all, I am one person!). I don’t cover my hair full time yet but am slowly stepping up the Modesty game at work. This will be a HUGE help for me so see some of your ideas & inspirations in outfits!! Looking forward to it!